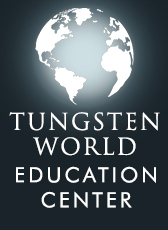 With the recent redesign of the Tungsten World homepage complete, we are proud to have a new category page dedicated to women’s tungsten rings. 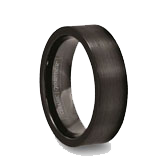 Demand for women’s tungsten carbide rings has been steadily growing in recent years, making it clear tungsten wedding bands and tungsten rings are no longer just for men. 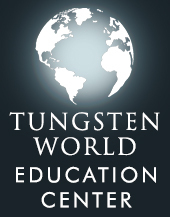 And with the addition of 4mm wide styles like the CLASSIQUE,KRAFT and APRHODITE to the site, Tungsten World is your source for the best in tungsten rings for women, as well as tungsten engagement rings and matching his and hers tungsten wedding band sets. 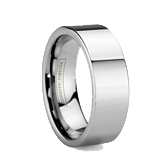 Our Tungsten Forever™ line of rings has always been well-known for being the highest in quality and durability for men’s tungsten rings,and they’ve replicated the quality of our men’s rings in styles and widths perfect for a lady’s finger. Looking for an engagement ring for proposing to the girl of your dreams? 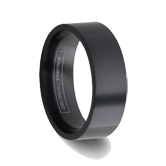 Our line of tungsten diamond rings showcase the brilliant matching of the two hardest materials currently on the market: diamonds and tungsten carbide. Choose from our line of solitaire tungsten diamond rings, each coming with radiant round-cut 6 pt. diamond stones, or our top of the line tungsten diamond rings with your choice of precious metal inlay and eight round 4 pt. diamond stones. She is sure to be amazed by the brilliant polish and strength of her tungsten engagement ring coupled with the shine of a beautiful diamond. And after she has said yes, look no farther than Tungsten World for your tungsten wedding bands. 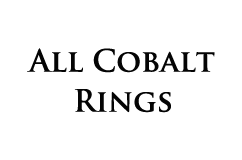 As mentioned, many styles on the site are available in varying widths of 4mm, 6mm, 8mm and even 10mm. 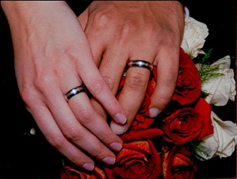 Having his and hers’ matching tungsten rings to wear after your wedding day will solidify the bond of your marriage and signify your union. These matching tungsten wedding band sets will allow you to have rings similar in every aspect of their styling but in the widths you and herprefer. So, while you may love a wide band, maybe even 10mm wide, she might prefer a slender 4mm width for her ring. No problem! Have a look at our THOR and KRAFT matching set with varying widths. 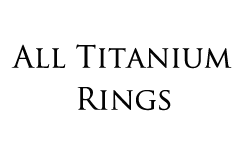 You are sure to find the matching set that suits your style and width preference. 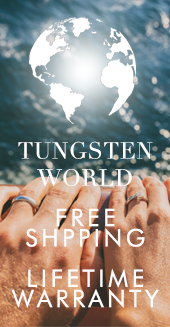 Like all the rings on our site, our women’s tungsten rings come with the Tungsten Forever™ promise that you are receiving the highest quality tungsten rings, and are backed by the customer service and support Tungsten World provides to all its customers.